Next week will see the start of the 25th Regular Session of the UN Human Rights Council (3-28 March 2014 in Geneva) and PRI will be participating on three key issues: the abolition of the death penalty, justice for children and the revision of the Standard Minimum Rules for the Treatment of Prisoners. PRI’s statement within the Council’s High Level Panel on the Question of the Death Penalty looks at two particular areas of concern – the conditions on death row and the impact these conditions have on the rights and well-being of prisoners and their families. Alison Hannah, PRI’s Executive Director will be speaking at a side-event, International Actions with the view to abolishing the death penalty. The event is hosted by the Permanent Missions of Algeria, Argentina, France, Italy, Mexico, Norway and Switzerland, and the International Commission Against the Death Penalty on Monday 3 March at 13:15-15:00 Palais de Nations, Room XXIII. We will also be co-hosting a side-event, The Standard Minimum Rules for the Treatment of Prisoners under Review: Preventing Torture and Ill-treatment, with the UN Special Rapporteur on Torture and the American Civil Liberties Union (ACLU). 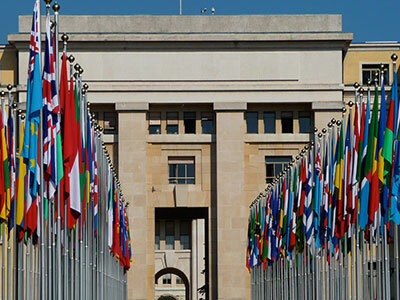 The event will take place in Room XXV in the Palais des Nations between 15:00 – 17:00 on Tuesday 11 March. The side event seeks to provide a platform for discussion on developments in the process of review – with a particular focus on preventing torture and ill-treatment. Given its impact on criminal justice and human rights the review is one of the most important current standard-setting processes at the UN level. Download the flyer. The annual Day of General Discussion on the Rights of the Child will take place on 13 March, with a focus on access to justice for children. Nikhil Roy, PRI’s Programme Development Director, will be addressing the afternoon session on ‘Challenges and good practices to children’s access to justice’ with a focus on children in institutional care. Nikhil will also speaking at a side-event on 11 March at 18.00 where the Special Representative of the Secretary General on Violence against Children, Marta Santos Pais, will be launching her report on Restorative Justice. We will also be supporting the launch of the Call for a Global Study on Children Deprived of their Liberty at 18.00 on 13 March, following the Day of General Discussion. The Call has been led by Defence for Children International and has the support of a wide range of child rights organisations. Follow us on twitter @penalreformint for regular updates from Geneva.